Hello! 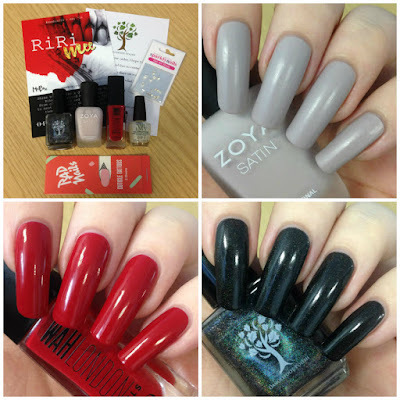 Today I have my swatches of the polishes May's RiRiMee MeeBox to share with you. If you missed my initial unboxing you can find it here. You can also see my RiRiMee Mani using all three polishes here. I loved the Rihanna themed box so much that I had to do a proper swatch post! Read on for full swatches and more info! 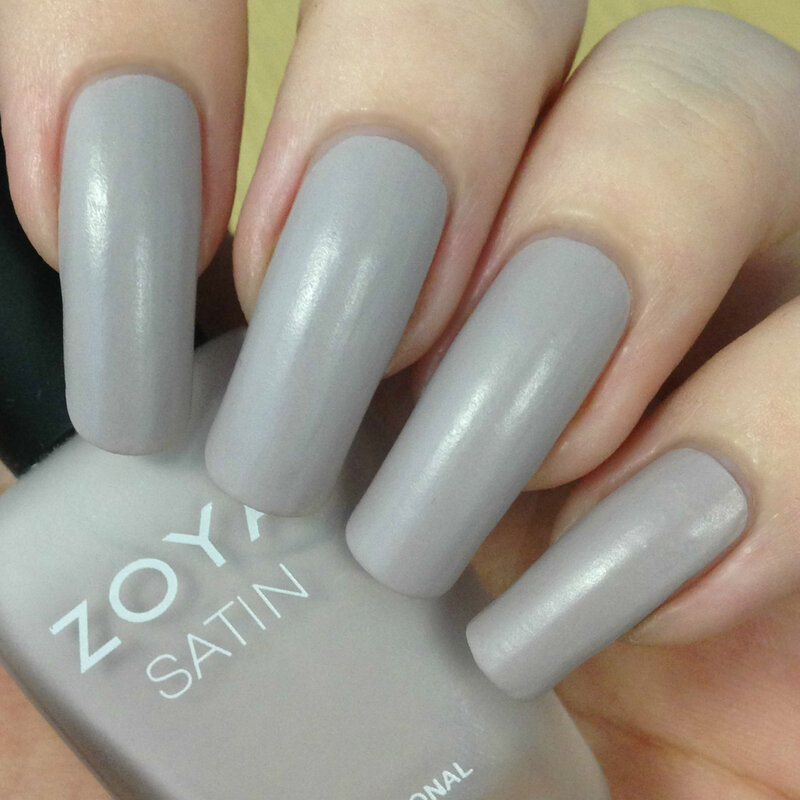 Zoya Satin 'Leah' is a lavender toned grey. 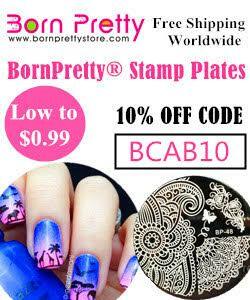 This has a lovely smooth formula and dries to the satin finish quickly - although if you manipulate it too much it will pull and drag. It is nearly a one coater but I did need a second coat to cover some streaks. I actually like both the colour and finish of this much more than I expected. Below is two coats without topcoat. 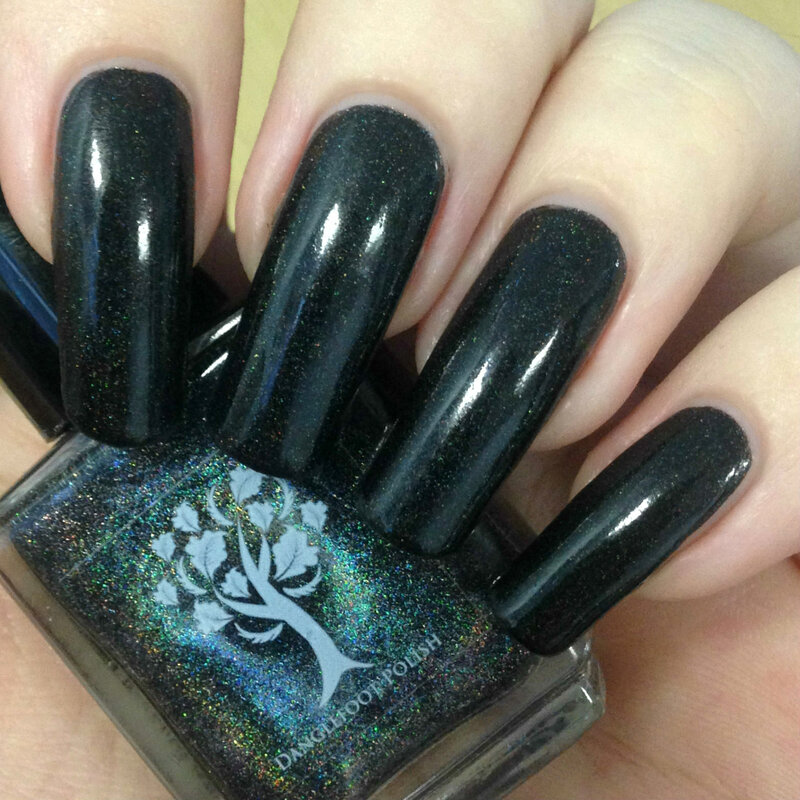 Danglefoot Nail Polish 'Higitis Figitis' is a jet black holographic. It has an amazing formula and is pretty much opaque in one coat. I did add a second due to some teeny tiny bald spots, but it will easily be a one coater on shorter nails. I am in love with this polish! Below is two coats and topcoat. 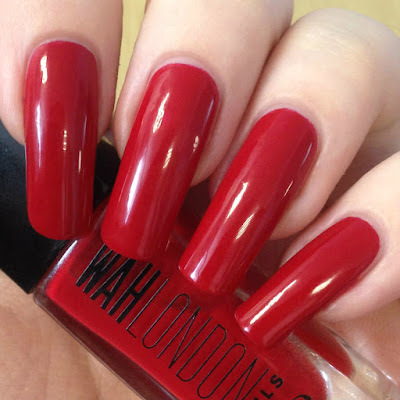 WAH London 'Love My Team' is a bold red creme. This applied just slightly sheer on the first coat, although without any streaks or bald spots. I added a second to deepen the colour and get it fully opaque. It also dries down super glossy. I don't tend to wear reds often but I really like this. Below is two coats and topcoat. What do you think? I'm massively impressed with this months polishes. Not only are they all good quality brands, but all three of them had really great formulas! I have to say that 'Higitis Figitis' is hands down my favourite. I already can't wait for next months box! You can find out more about MeeBox and subscribing on their website here. Leah is one of my fave Zoya polishes ever, I love it when they release matte ones. Danglefoot Nail Polish 'Higitis Figitis' looks like something I need! These are great polishes. I love the selection. Lovely swathes! The Danglefoot is so pretty! I love the holo captured in your photos! Zoya is my all time fvt. Red looks sooooo pretty on u. Beautiful swatches... love the grey one more..
Leah looks amazing on you! I LOVE your nail length, Becca :) I wouldn't last two days without a break lol. Red really is your colour!